the heart of Africa in the Americas! For over 20 years, Dancing at the Source has provided travelers with curated cultural tours, along with daily Afro-Brazilian culture classes taught by experienced faculty, who are among Bahia’s most influential dancers, musicians, visual artists, researchers, and culture makers. The trip leaders have developed deep professional and personal involvement with the arts and spiritual communities of Bahia, and are committed to providing travelers with a unique opportunity to experience Afro-Brazilian culture outside of the typical tourist context. Through first-hand experiences, travelers will connect and learn from many of Bahia’s top performing artists, spiritual leaders, visual artists, socially conscious thinkers, and educators to advance their historical understanding of Afro-Brazilian traditional and contemporary culture. "Dancing to the beat of another country"! During western slavery, 12 million slaves were transported from West Africa and sent to the Americas: 20% died in the middle passage and 40% settled in Brazil. Sounds like a shocker – but if you’ve ever visited Brazil, you’ll quickly notice the rich African culture. Salvador, Bahia, Brazil was the largest Brazilian harbor to transport African slaves into Brazil. Because of its history, this beautiful urban coastline is often called today the Heart of Africa in the Americas. The culturally rich destination is home to Bahia’s most active spiritual leaders, visual artists, thinkers, performing artists and educators. Viver Brasil invites you to learn from these leaders, all while enjoying concerts, opportunities to purchase custom art, jewelry, clothing, eating amazing food & sun-bathing on the beautiful beaches of Salvador, Bahia. This trip is not for everyone but instead for the curious traveler, who’s looking for a culturally rich experience. This seeker will explore the nuances of Afro-Brazilian culture, witness sacred Candomblé ceremonies and study Brazilian history with Bahian elders. You’ll leave the trip with a complete understanding of the influence that the African Diaspora had on Brazil. The mixture of African and Portuguese traditions is unique and worth exploring for any curious traveler. 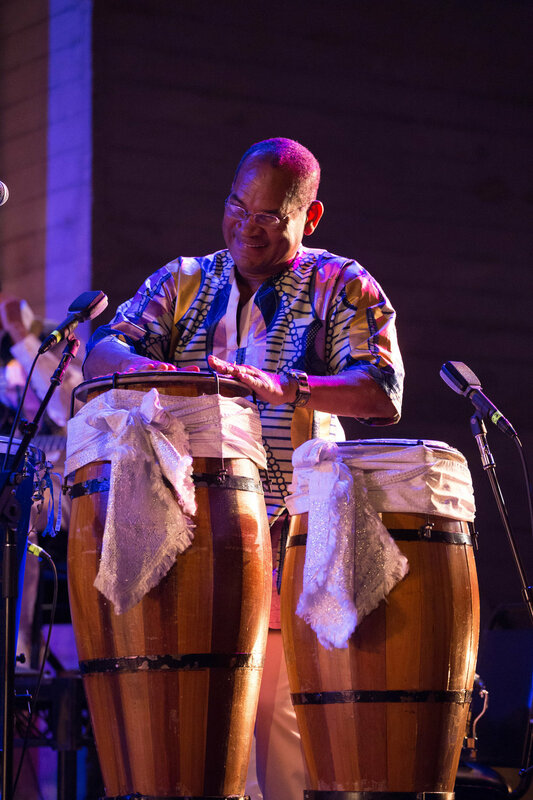 Enjoy performances by the Bale Folclorico da Bahia and Dida Women’s Percussion Ensemble. Full payment must be made by June 1, 2019. This package price includes R/T travel to Brazil from all major U.S cities and based on double occupancy accommodations at the Marazul Hotel, all classes and related activities, translators, guides, ground transportation and a hearty breakfast at the hotel. * A tourist visa is required to travel to Brazil. Visa costs NOT included in package price. Lunch and dinner is also not included. Contact Viver Brasil's Executive Director at info@viverbrasil.com for more information. The non-refundable deposit is required by April 30, 2019. 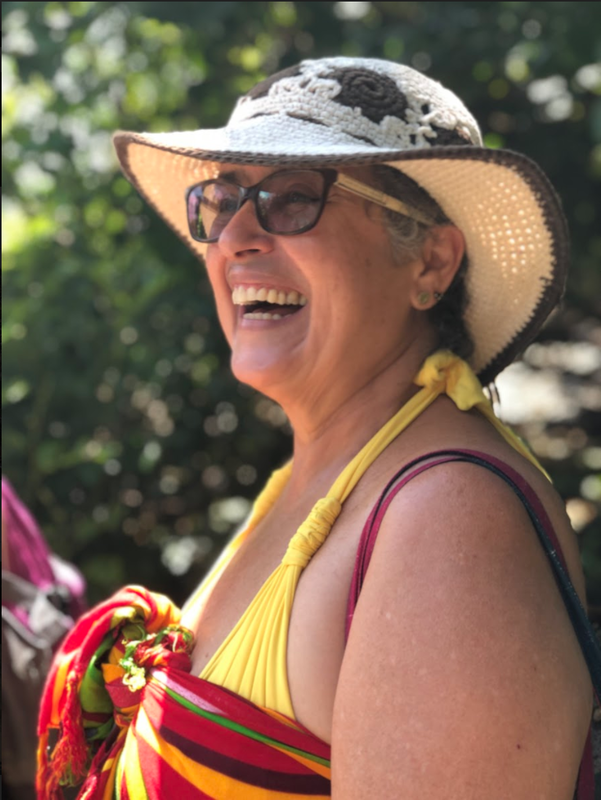 Linda is a Los Angeles based internationally recognized dance ethnologist with three decades of experience studying, researching and working in Bahia in the field of Afro-Brazilian dance, education, performance, spirituality and cultural tourism. Badaró is a native son of Bahia with over thirty years teaching Afro-Brazilian dance, choreographing and playing percussion. His choreographies exalt the intense love he has for his culture and its preservation and development. Paula has been involved in socially conscious tourism in Bahia since the early 1980s. Her knowledge of Afro-Brazilian history, literature, media, visual art and gender issues provides a deepened context in which to understand the complexity and beauty of Afro-Brazilian culture. Dancing and Drumming at the Source faculty includes Jose Ricardo Sousa, Gilmar Sampaio, Vera Passos, Vania Oliveira, Amelia Conrado, Dona Cici, Tatiana Campelo (percussionists), Joel de Souza and Cid Morais, Vivian Caroline of Dida Womens Percussion Ensemble, Afro-Brazilian storyteller, Dona Cici, with lively talks by contemporary writer Mel Adun and acclaimed visual artist/designer, J. Cunha.